Have you tried making your own paints before? 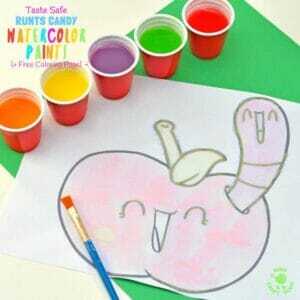 This Runts Watercolor Paint Recipe is really easy and fun to make. It’s fruity, colorful, taste safe and there’s a printable apple coloring sheet too. 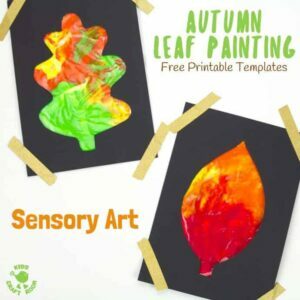 What a fun way to enjoy some fruit themed sensory art! Sponge Flower Painting is simple and easy and creates the prettiest flower pictures! 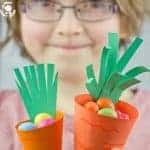 This flower art is great for kids across the age ranges and is a wonderful way to celebrate Spring and Summer. Make wall art, greeting cards or gorgeous Mother’s Day gifts, these painted flowers won’t fail to delight. 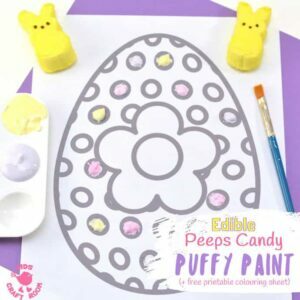 Here’s a wonderfully easy and totally edible Peeps Puffy Paint Recipe you can make in just minutes. 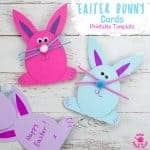 This homemade paint is fluffy and soft and comes in gorgeous pastel colours perfect for Spring and Summer art. 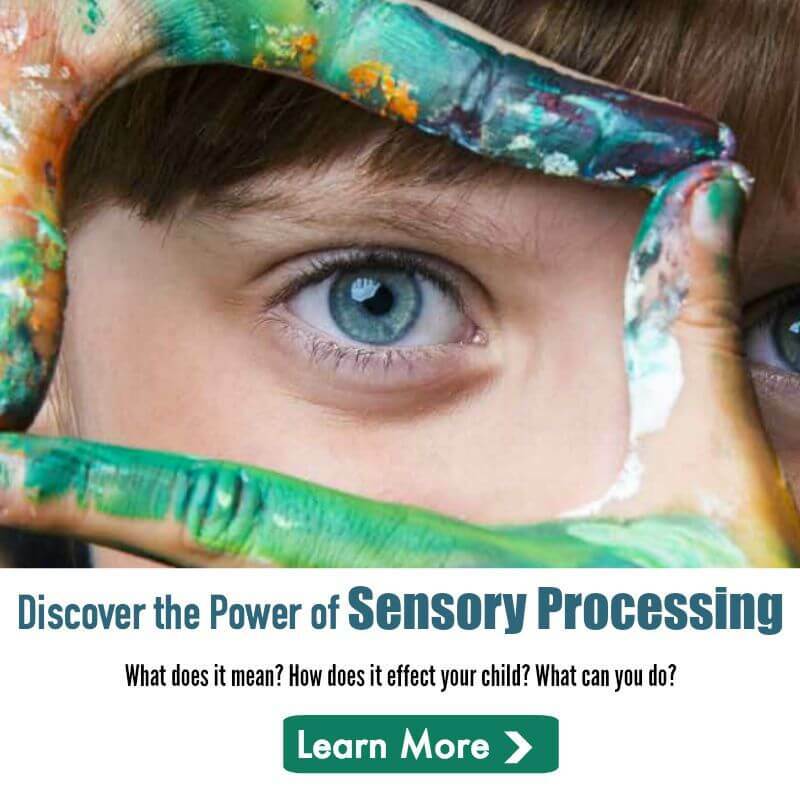 The kids will have a finger licking good time getting creative with this fun and delicious sensory painting idea! Everybody loves a rainbow! 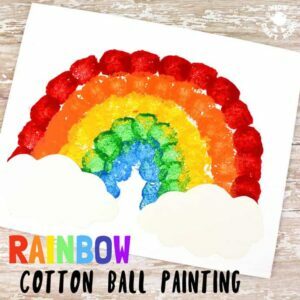 This Rainbow Cotton Ball Painting activity is lots of fun, looks amazing and gives kids the opportunity to use and develop their motor skills and hand-eye co-ordination too. 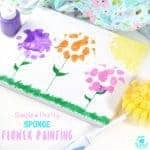 Painting with cotton balls is super exciting for kids and a great way to broaden their painting experiences away from just traditional paintbrushes. 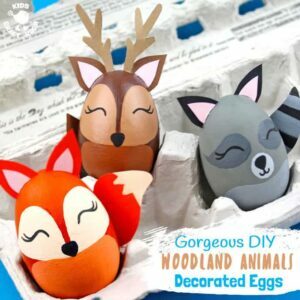 If you are looking for some special Easter egg decorating ideas then these Gorgeous Woodland Animal Easter Eggs could be just the ticket. 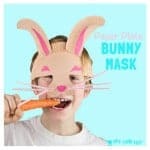 These Easter egg animal designs look amazing and are surprisingly easy to do. We’ve got a stunning egg fox, raccoon and deer. We can’t choose a favourite as they’re all so adorable! We’re back with some more Dr Seuss handprint art just in time for World Book Day and Dr Seuss’ birthday celebrations. 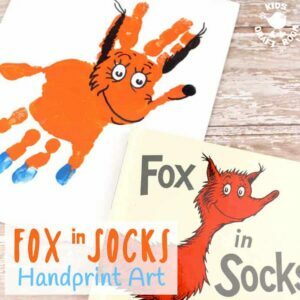 Today we’ve got the terrific tongue twister master, Fox In Socks and the poor old tongue tied Knox! Both are adorable and super easy. Are you a Cat In The Hat fan? 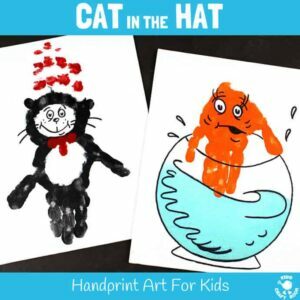 These Dr Seuss handprint crafts are super fun! 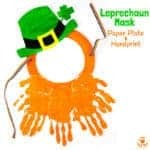 Great for World Book Day and Dr Seuss’ birthday celebrations.